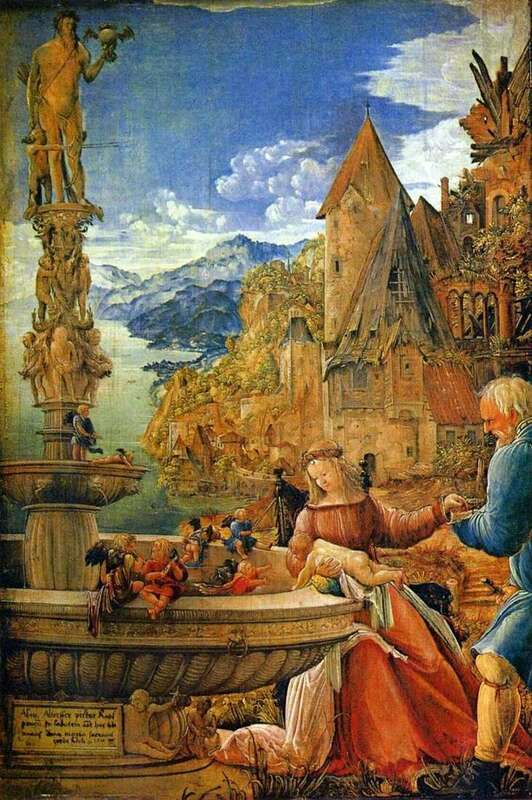 As follows from the inscription in the painting, Altdorfer donated his work to a temple. The scene of peaceful rest of Joseph and Mary with the Child at the fountain on the way to Egypt is presented by the artist somewhat sentimental, and the landscape – a mountainous sea shore, in which, in the bright rays of the setting sun, there are toy houses and turrets, it reminds a cozy fairy tale. Description and meaning of the painting Rest on the way to Egypt by Albrecht Altdorfer.